Does a job change in the application year hamper GMAT profile. I work in IT industry and about 6 months back I changed my job. I have an experience of 5.6 years in IT. Currently I have a job offer in my hand and I am unable to decide whether to go for it or not. 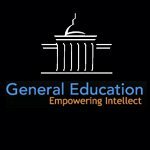 Reason being I am planning to write GMAT this year (2019) and apply to the colleges. In the tenure of my IT experience I have worked for 3 organizations and if I go ahead with the offer this is going to be my fourth company. I am a bit suspicious about what affects its gonna leave on my GMAT profile. Would it affect my chances to get into a top B school as i am planning to apply this year. Shall I go ahead with the offer? Kindly Help me with your thoughts on this. In my opinion, you should take up the new job. Plan when you will be going for the Gmat. Keep preparing for the Gmat. Leaving job for Gmat preparation is not a plus and may affect the admission process. Number of job changes will not affect your application if you can explain the reason for job change. Moving this topic to the appropriate forum. Thanks a lot for your reply Souvonik. Guys, I Would really appreciate if i get more replies on this. That would help me take the right decision. I hope Job change will not be a problem. School admission team looks at your leadership potentiality rather than your duration of jobs and industry. It's not at all a problem. Usually schools check on your adoptability and leadership potentiality. So, please focus on profile building in application process. Fact is adcom always look for the candidates having a diverse profile. They look for leadership skills, the drive, and passion for innovation, value creation, and outstanding leadership potential. You need to showcase the achievements that you have received during the tenure of your career. However, we would suggest you take the job offer which is hand; leaving a job to prepare for your GMAT or application would be a bad idea. You can give a good reason for a job change and what was the outcome of doing so. Certainly, it should be an advantage in your application to take the offer from your fourth company while preparing for your GMAT. Thanks a lot guys general Education, mangamma, kiran120680. Really appreciate your suggestions. 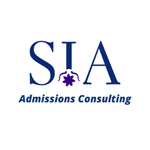 An admission consultant will be able to guide you the best in this regard. However, I can help you with few resources to get an idea about how work experience plays a role in your application and how you can boost your profile. It will help you get an idea about what matters to the business schools. 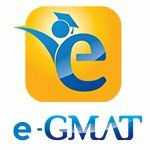 Please feel free to reach out to us at support@-gmat.com for any GMAT preparation related help. It is unclear to me whether you are currently employed (6 months in your new position) or if you are unemployed with a potential job in hand. If the former (6 months in a new job), I recommend you do not change jobs as bouncing from company to company may affect your application, let alone the effects learning new procedures and/skills can have on your preparation process. 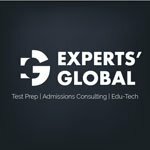 Additionally, leaving a job to study for the GMAT is never a good idea as thousands of applicants applying to top b-schools manage both, a job and GMAT (develop a plan of action and stick to it is key) - admissions committees do not look kindly on candidates that leave a job to study for the GMAT. If you are unemployed and have a job in hand, then, indeed, take the job and work out a GMAT study strategy to manage both (for the same reasons as mentioned above). I hope this helps. If you are interested to continue the conversation, please click here to coordinate a 30-minute call. Hi Yes you got it right I am currently employed (6 months in my new position) and If i jump into a new job I suspect its going to affect my credibility and may even affect my application as i am planning to apply this year. I agree with your thought process. I recommend not switching jobs unless there is a real concern (which I didn't get from your post). Happy to talk in more detail if interested. Based on what you've written here, the prudent move is to remain at your current job until you have an admittance to business school. That being said, there are always reasons to justify an ebb in the status quo, such as if this new job is a "dream job" or it aligns extremely well with your post-MBA goals. You also need to think of who you will ask to be your recommenders, and if you have a manager at this current job who will vouch for you, you may risk losing their support if you jump ship after 6 months. If you accept the new job, you need to think about what they will say when you finally unveil your plans to attend business school. Maybe they hired you thinking long-term and you won't be able to find a manager there who is willing to give you a great review. If a compelling case can be made for this new job (more in-line with goals, significant increase in pay or responsibilities, pursuing a passion), then it may be worth looking at. But, all things being equal, it's still a risky move, and less risk is often times a better strategy for MBA applications. Feel free to reach out at scott@personalmbacoach.com to discuss more! 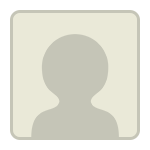 Originally posted by PersonalMBACoach on 25 Mar 2019, 08:47. Last edited by PersonalMBACoach on 25 Mar 2019, 11:04, edited 1 time in total. egmat SiaAdmissions PersonalMBACoach Thanks a lot for your suggestions. Really appreciate it. Unless the new job promises some serious profile improvement with leadership experience and career growth, you must not make the switch. Business schools value stability in your profile and the lack of the same often raises eyebrows. Having said the above, if you do choose to proceed with the new job, do address your frequent job changes in the Optional/Additional Information Essay with a rationale for each switch. c. lesser opportunities to create impact at work - it will be difficult to be immediately productive at two new organizations, so there would be some slack there. Since I don't know what this new opportunity is and how it will enhance your profile from the MBA application perspective, i'd like to leave you with the above questions so that you can think through them and decide.